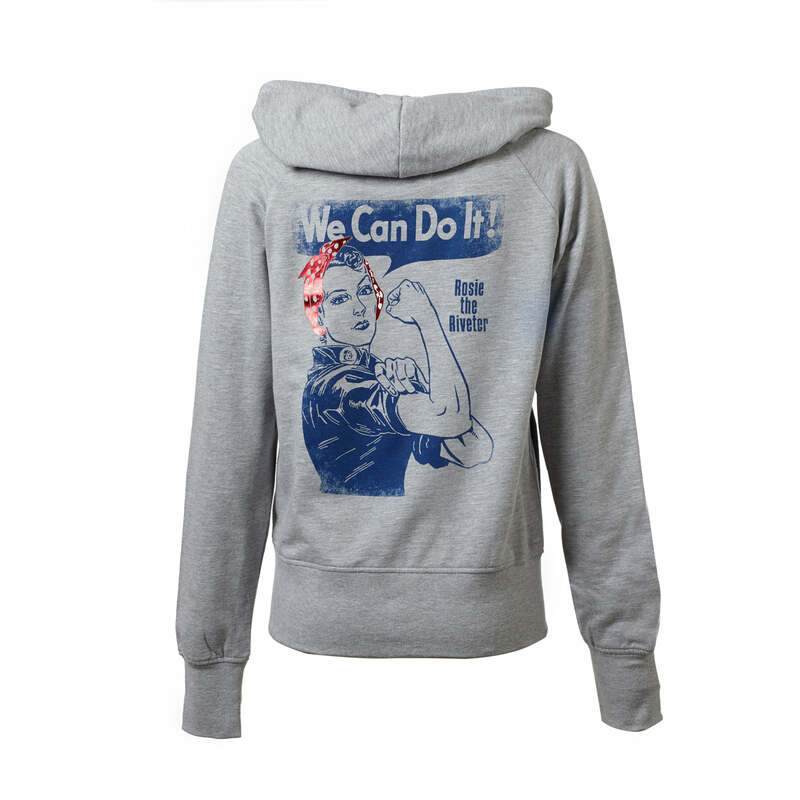 Our new Retro Rosie collection honors the can-do spirit of Rosie the Riveter. The inspiring message and vintage imagery are as meaningful today as they were during World War II. This comfortable slouch-fit hoodie is made from soft, sueded heather-gray 60% cotton/40% polyester fleece with an authentic navy blue screenprint across the back. There's even a red metallic accent in Rosie's iconic polka-dot bandana. The Boeing logo is screenprinted in white on the left chest. Zip-front sweatshirt is styled with an extended ribbed hem, raglan sleeves, welt pockets, and a funnel-neck hood. Imported.